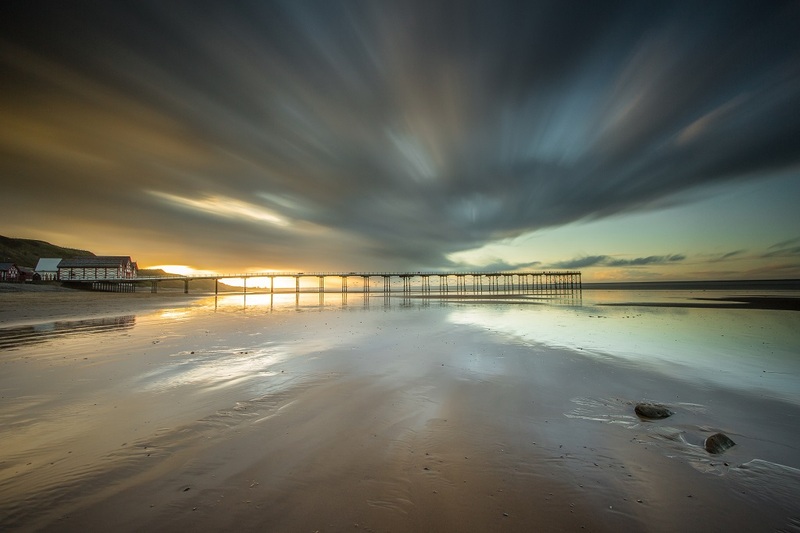 A spring trip to capture the Saltburn pier sunset. Waiting for the sunset I noticed how the clouds were moving towards me over the pier and decided to capture this with a long exposure using a 10 stop filter. 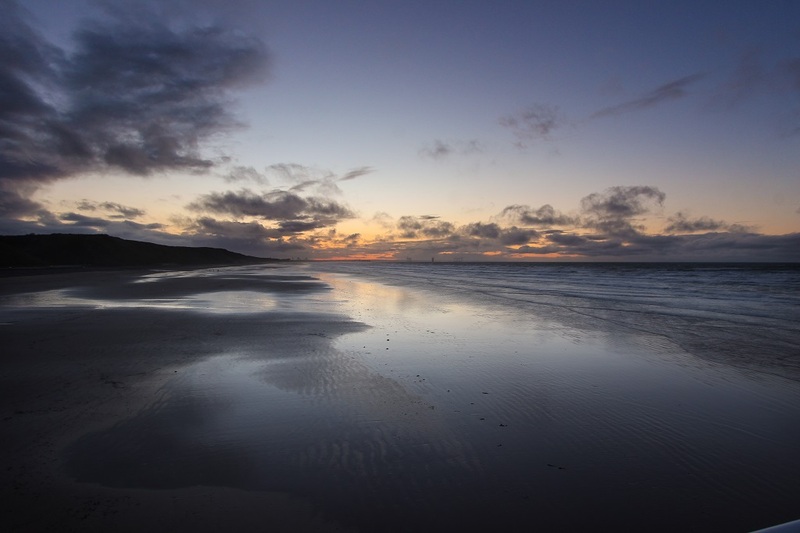 A panorama shot of the sunset from within the water taken with a 0.9 ND and a 0.9ND hard grad combination from LEE filters. 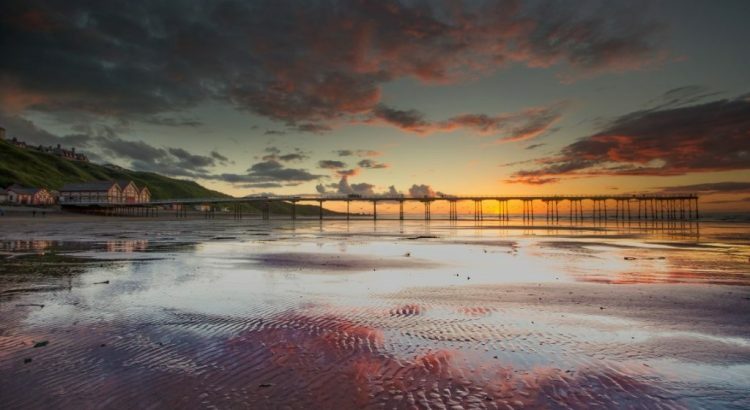 Sunset over Saltburn Pier, the wet sand reflecting the sky. 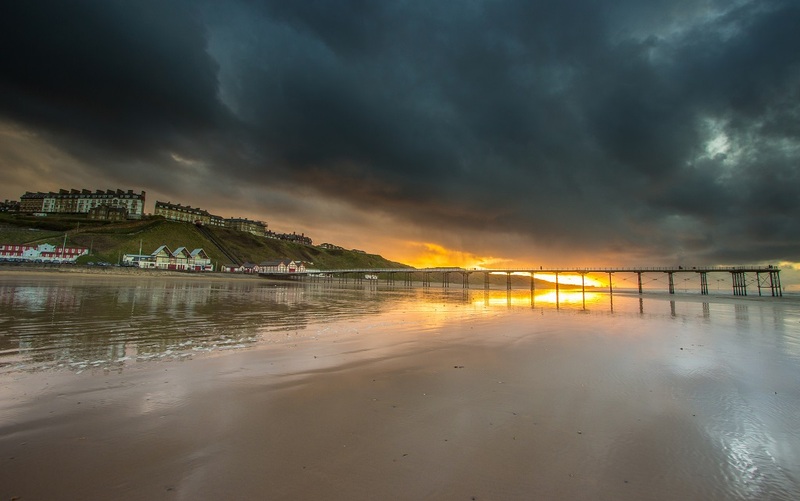 Blue Hour shot of Saltburn beach, after the sunset from the pier. 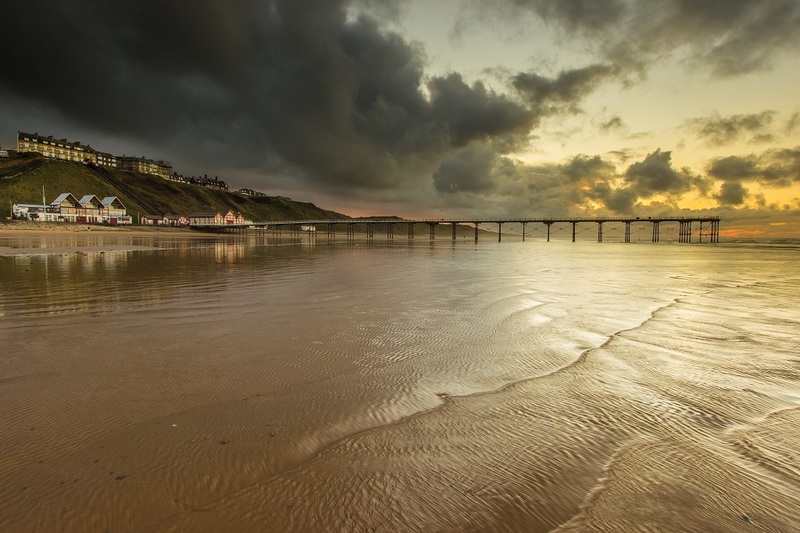 The sun drops below the horizon behind the pier, using the pier and sunset as a background and the wet sand in the foreground to reflect the colours and clouds I set up for the shot. It was not long before I was joined by a few other photographers though it was a little too windy to strike up much of a conversation! 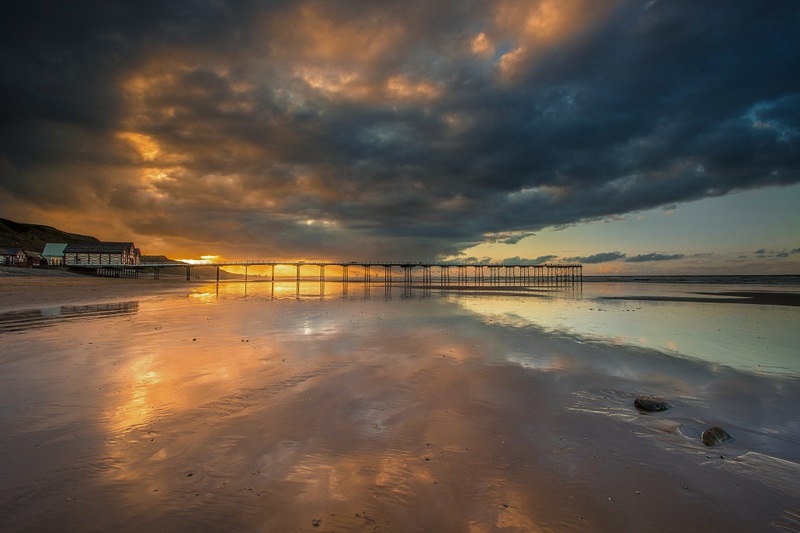 Given the bright sunset I needed to use a Lee 0.9 ND hard graduated filter to balance out the scene.